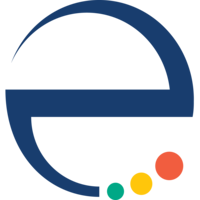 The Eurasia Foundation (EF) is a nonprofit organization which aims to promotes the growth and development of civil society in Eurasia, China, and the Middle East and North Africa. Programs in the Eurasia Foundation focus on advocacy; capacity building; community engagement; economic opportunity; and online education. Grants to strengthen civil society. The Eurasia Foundation has helped establish autonomous partner foundations that address local needs of civil society in Central Asia, the South Caucasus, Russia, Moldova, and Ukraine. Some of these partner foundations make grants. Among a wide variety of grant-making interests are past projects on agricultural and rural development; land-use planning; environmental policy and legislation; energy development; water management; and related issues of natural resources. Grant recipients are local governments, civil society organizations, educational institutions, public foundations, youth groups, media organizations, and a wide range of other organizations. APPLICATION: The possibilities and procedures to apply for grants vary across the partner foundations. Grant seekers should review information posted by each of the relevant partner foundations regarding grant applications, award procedures, and future grant competitions. The Foundation’s main website is available in English. Its partner websites are available in regional languages and in English. In addition to its programs for Eurasia, the Foundation has more recently established a program for China and another for the Middle East and North Africa. The Foundation’s original financial support was from the U.S. Agency for International Development. Since the Foundation’s establishment in 1992, other government donors, corporations, and independent foundations have become funding partners. EF provides contact information for its office in the USA.